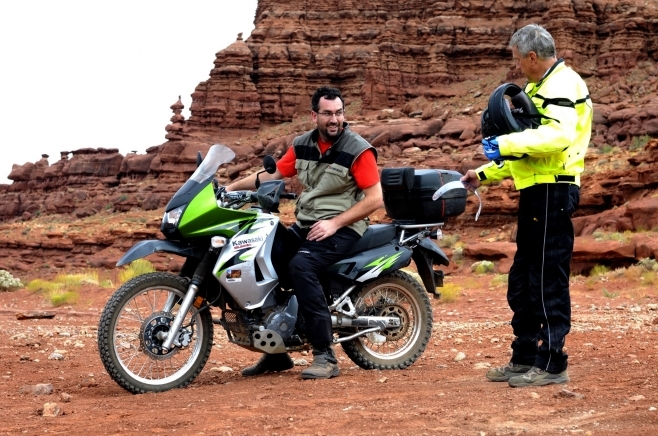 One of my favorite motorcycle blogs recently ran a series called “Broventure” wherein two guys rode some enduro-touring bikes through southern Utah and AZ. The photos and stories are awesome. Start with number 1. There are links to the rest of the installments at the end of each post. I was extremely envious of this entire story. Sounds like one of my dream vacations. Additionally, Jakub is back in action on ISO50. I’m loving the latest mix that he posted over there. Posted in News and tagged motorcycles, music. Let me know when youre ready– we’ll do this.